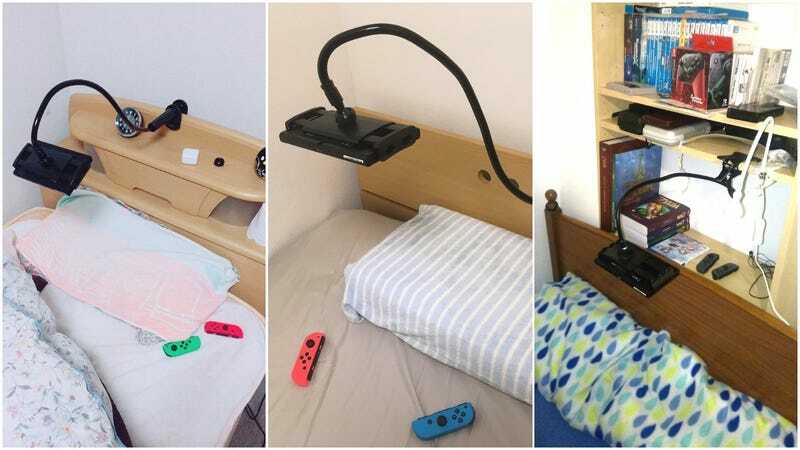 Twitter user Ukiwa recently uploaded this image of a Nintendo Switch holder, showing how it can be used while lounging in bed. The holder can also be used for smartphones and tablets, but thanks to the Joy-Con, the Switch achieves the maximum potential. You can keep your arms by your side! Previously, there have been other iterations of this same idea, which other Twitter users pointed out in Ukiwa’s thread. Are You Lazy? A Gamer? There&apos;s This.